Instagram has opened so many doors for me as as a photographer, and now as a medical student. Instagram can truly connect people from all across the globe (we can talk about the algorithm and adverts later). That is how FIGS found me. They reached out to me in September 2018 for the first time, and invited me to become an ambassador in November (I’ll be sharing that whole story and my experience thus far in a bit so stay tuned!). One thing I loved about the company was their Threads for Threads campaign! For every pair of scrubs purchased, they donate a pair to under-resourced healthcare professionals around the globe. As a newbie to the family and a lover of all things philanthropic/global health related, I wanted to be apart of this campaign, and help spread the love. Since I was going to Nigeria for a wedding in December, I reached out (last minute) to see if I could donate scrubs, on behalf of FIGS to some of the local hospitals in Lagos. You never know unless you ask right? In record time, FIGS got together what they could for me to take along. If you have never heard about FIGS scrubs, check out their website here to see their amazing Threads for Threads campaign! If you know anything about underdeveloped countries…or shoot just Nigeria specifically, you know that things do not always go as planned. This applies even more so to healthcare workers. There is always a need, and although plans changed, I found solutions. 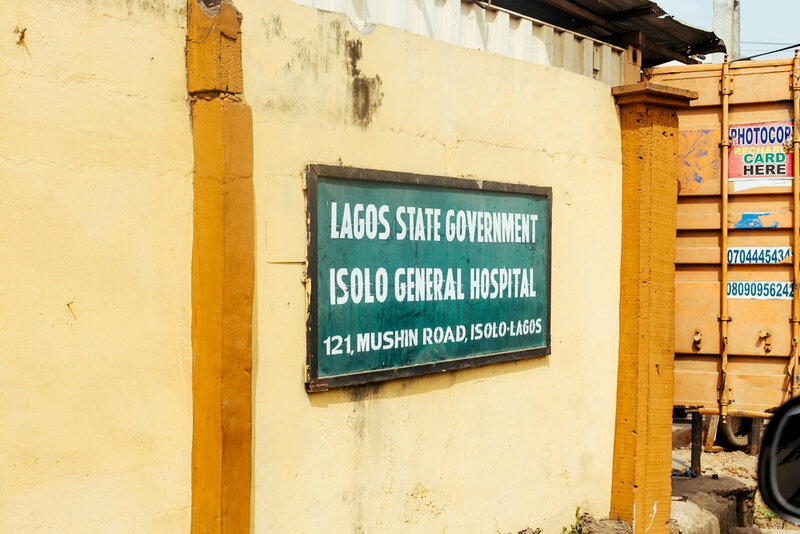 I was able to visit Dr. Musa at his community clinic in Lagos (pictured first) and the Emergency medicine team at Isolo General Hospital, learn about their work and their needs, and bring a little holiday cheer in the form of some quality scrubs. It may not seem like much, but it was so eye-opening for me. New World Hospital, a community-based clinic in Lagos, Nigeria. The opportunity to work with an organization that truly values helping others is important to me, and I am so grateful to be apart of the FIGS family in this capacity. It has always been my goal to collect and distribute medical resources to under-resourced health care facilities in Nigeria, so this was a beautiful start in the right direction. Thank you to Jennifer Iroezi, Chisom Okafor, and Anna Awolope in addition to the FIGS family for helping me to make this happen.